TThe Sharpeville Human Rights Precinct is a memorial for those who died in 1960 in the Sharpeville Massacre, an event that shocked the international community and inspired increased efforts against apartheid. The Sharpeville Human Rights Precinct, in the Sedibeng township of Sharpeville, is a memorial to victims of the watershed event that was the beginning of the end of apartheid. Differences within the African National Congress (ANC) led to Robert Sobukwe breaking away to form the Pan African Congress (PAC) in 1959. A year before, the ANC had launched an anti-pass campaign targetting the most hated symbol of apartheid − the pass or dompas − which annually made criminals of up to half a million black people. 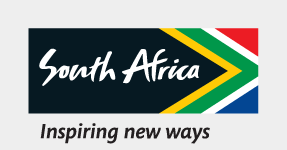 IIn South Africa, 21 March is known as Human Rights Day. TThe Sharpeville Human Rights Precinct, in the Sedibeng township of Sharpeville, is a memorial to victims of the watershed event that was the beginning of the end of apartheid. TThe ANC organised a defiance campaign against passes to commence on 31 March 1960. The PAC refused to participate and called its own protest for 21 March 1960. That Monday over 300 people marched on the police station in Sharpeville to hand in their pass books. A total of 69 people (including 13 anonymous foreigners) were shot dead and 180 injured when police opened fire. Many were shot in the back. Protests flared across South Africa and an outraged international community censured the country at the United Nations. On 8 April, to stem the panic, the government declared a state of emergency and banned the ANC and PAC, which both went underground and established armed wings. In 1966 the UN declared 21 March the International Day for the Elimination of Racial Discrimination and since the first democratic elections in South Africa in 1994 it is remembered as Human Rights Day. The Sharpeville memorial, opened by Nelson Mandela in 2001, features a dramatic wall at the entrance containing the names of the dead, who are buried in the nearby Sharpeville Cemetery, and 69 pillars in a garden split by a stream flowing from a fountain. Mandela named Sharpeville the Cradle of Human Rights.